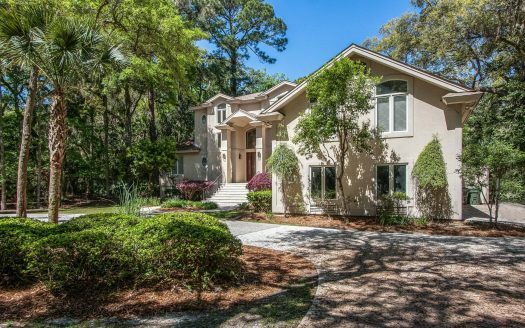 New to the rental market, 3 Battery Road is a fabulous 3 bedroom, 3 bathroom Sea Pines vacation home located on the 5th fairway of the Harbour Town Golf Links. Floor-to-ceiling windows and doors throughout the home provide magnificent views of the golf course, fully screened pool area, and open sundeck. The single level home showcases exceptional, new upgrades, fixtures, and furnishings, including the brand new kitchen and newly resurfaced pool. The delightful open living space on quiet Battery Road is perfect for gathering friends and family. The gracious living room offers plentiful and plush seating in relaxing coastal tones; and the 60 inch flat screen TV is perfect for enjoying movies on the DVD/Blu-ray disc player or your favorite sports competitions. 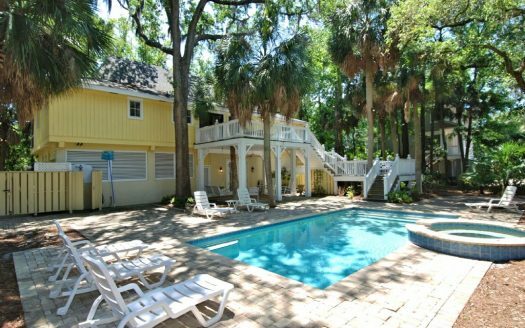 Or, simply relax with views of the Lowcountry landscape. Open to living space, the gorgeous kitchen features white top-of-the-line cabinets with decorative brushed nickel pulls, new stainless steel appliances, ivory granite countertops, and porcelain tile floors. The spacious island has a gas cooktop, ample food preparation areas, and breakfast counter stools facing a 40 inch wall mounted TV. The large farmhouse table is perfect for informal dining. Through the sliding doors, a glass-top table in the screened pool area provides additional dining space just steps from the kitchen and Weber gas grill. The spacious master suite features a king bed, 50 inch flat screen TV, a DVD/Blu-ray disc player, ceiling fan, skylights, and roomy walk-in closet. Sliding doors access the sun deck area. The master bath has new 36” tall wood cabinetry with double sinks and dark brown granite tops, a large walk-in shower, and a separate whirlpool tub. The other two bedrooms also have renovated private baths with 36” tall white Shaker-style vanities with great storage and granite tops. Tub/Shower combinations are located in each. The warm and whimsical décor of bedroom #1 contains two queen beds, a 40” flat screen TV with a DVD/Blu-ray disc player, lighted closet, and dresser. Bedroom #2 is charming with a blue coral quilt covering the king bed, wicker furniture, a 40” flat screen TV with a DVD/Blu-ray disc player, lighted closet, and dresser. A game room opens to the living area and offers favorite board games, a table with 4 chairs, and a queen-sized sleeper sofa. Next to the kitchen is the laundry with full-sized washer and dryer, utility sink, and plenty of counter space for folding clothes. A small study and half-bath connect to the garage and service area with outdoor shower. After a long day at the beach or on the links, this peaceful oasis awaits you. 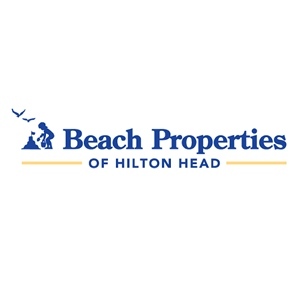 Conveniently located just a few minutes from the beach by foot or by bike. 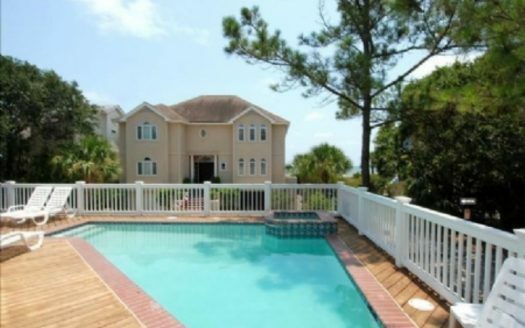 Easy access to South Beach, Harbour Town, and other Sea Pines Amenities.